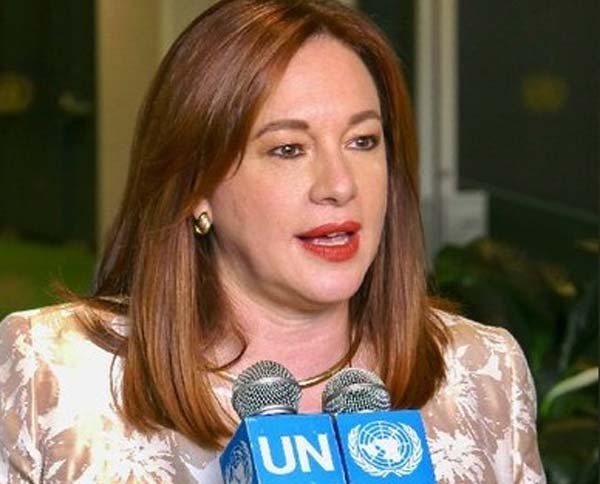 UNITED NATIONS, Jan 17 (APP): A comprehensive programme awaits the United Nations General Assembly President, Maria Fernanda Espinosa, when she arrives in Pakistan on Friday for her first trip to any Asian country since assuming the senior UN position, a visit that she said would strengthen the world body’s ties with Islamabad in promoting multilateralism. The first visit by a General Assembly president in over 8 years will involve engagements on a range of issues that are among the priorities of Prime Minister Imran Khan’s government. She said she looks forward to strengthening the ties between Pakistan and the UN, promoting multilateralism and continuing her work with Pakistan on the priorities for the 73rd session of the General Assembly. Ms. Espinosa thanked the Pakistan government for the invitation to visit the country. Meanwhile, Pakistan’s Ambassador to the UN, Maleeha Lodhi, flew to London Wednesday on her way to Islamabad to be on hand for the Assembly president’s five day visit. The Assembly president is scheduled to meet President Dr. Arif Alvi, Prime Minister Imran Khan, Foreign Minister Shah Mahmood Qureshi as well as representatives of the civil society and the UN. In the course of her talks with the Pakistani leadership, Ms. Espinosa will be briefed on the deteriorating situation in Indian occupied Kashmir. Before leaving New York, Ambassador Lodhi said in an interview with APP that the General Assembly president’s visit marks the enhanced engagement between Pakistan and the UN and can be expected to take to an even more intense level. “Many of Maria Espinosa’s priorities accord with the government of Prime Minister Imran Khan, including creating employment opportunities for youth and environmental action as well as promoting implementation of the Paris agreement on Climate Change,” the Pakistani envoy said. Indeed, Ms. Espinosa thanked Pakistan for supporting her seven top priorities of her Presidency, including promoting gender equality, implementing a new global compact on migration, providing opportunity for decent work for women, youth and persons with disabilities, promoting public awareness of pollution, strengthening political and social commitments to persons with disabilities, revitalizing the United Nations, and promoting peace and security. Ambassador Lodhi said Ms. Espinosa has also been a strong proponent on migration and refugee issues, which are important for Pakistan in view specially of the extraordinary hospitality the country has shown in providing refuge to millions of Afghans refugees. Ms. Espinosa, 54, is only the fourth female President of the UN General Assembly in its 73-year history. Apart from official engagements, she will also meet members of the Women Parliamentary Caucus, Chairperson of the Benazir Income Support Programme (BISP) and visit Pakistan’s Peacekeeping Training Center. she will also address members of academia, think tanks and students. Ms. Espinosa has more than 20 years of multilateral experience in international negotiations, peace, security, defence, disarmament, human rights, indigenous peoples, gender equality, sustainable development, environment, biodiversity, climate change and multilateral cooperation. She has served Ecuador as Minister of Foreign Affairs (twice), Minister of National Defence, and Coordinating Minister of Natural and Cultural Heritage. In those capacities she coordinated the Sectorial Council on Foreign Policy and Promotion, which includes the Ministries of Tourism, Culture and Heritage, Foreign Trade, and the Environment. Ms. Espinosa, also served as Ecuador’s Permanent Representative to the United Nations, and was Chair of the Group of 77 and China until January 2018. Her Spokesperson Monica Grayley said that Espinosa believes that key world issues required multilateral solutions. The threat to multilateralism as witnessed across the globe drew calls for renewed commitment to a rules-based global order. UN Secretary General Antonio Guterres, addressing world leaders at the start of the high-level General Debate in September last year, had warned that the world is suffering from a bad case of “Trust Deficit Disorder” where polarization is on the rise and cooperation among nations is more difficult. 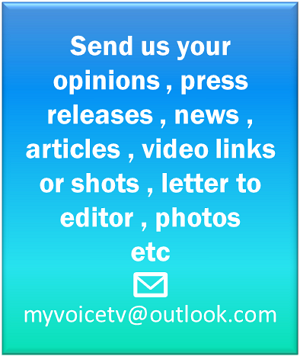 The UN chief underscored that challenges across the globe are growing outwards, while many people are turning inwards. “Multilateralism is under fire precisely when we need it most,” he had said.